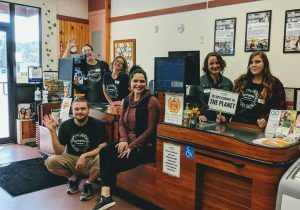 It’s Co-op Month: time to show off your Co-op Pride with our Co-op Month Photo Competition for NFCA Marketing & Merchandizing Staff. This competition for NFCA Co-op Marketing Staff runs the whole month of October with a different promo for each week. 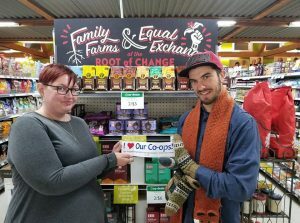 The goal: visually demonstrate our Co-operative Values and Co-op Difference in our stores to engage members and shoppers. There will be a winner announced for each of the 4 categories on the Saturday of each week, with co-op swag prizes. Learn how to participate. CONGRATS to the 2018 Co-op Month Winners! Create displays/gather staff/carve a pumpkin in your co-op using the week’s theme. Post the photo to your Co-op’s Facebook account. In the photo’s description, say what the item is and tag it with #NeighborCoops and #CoopMonth so it can be counted. All photos must be posted for that week by Friday at midnight. 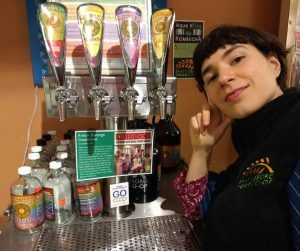 After the week ends, Neighboring Food Co-op Association staff will announce a winner and post on NFCA social media. 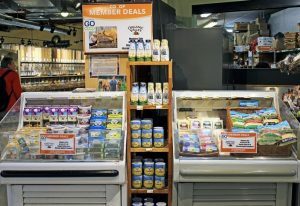 Week 1: Co-op End Cap: Photo of an End Cap (or floor display) demonstrating co-op difference and promoting other Co-ops in the food system. Could utilize “Co-ops See The Future” co-op month theme or NFCA information. Week 2: Co-op Shelf Promo: Photo of shelf using Go Co-op shelf tag promoting a product/products from Co-ops in the food system . Could include language/display demonstrating the co-op difference. Week 3: Co-op Pride Staff Photo: Staff Photo of Co-op Staff sporting their Co-op Pride/demonstrating co-op difference. Could include NFCA temporary tattoo, buttons, or bumperstickers or info cards. Week 4: Co-op Jack-0′-Lantern: Pumpkin Carved with Co-op Month Theme/Co-ops Rock/your Co-op logo/name, etc. Awesome Co-op swag from some of your favorite Co-ops (see below) AND recognition of your co-op’s awesomeness on NFCA social media! Thank You to our Producer Co-ops partners for providing our prizes this year!